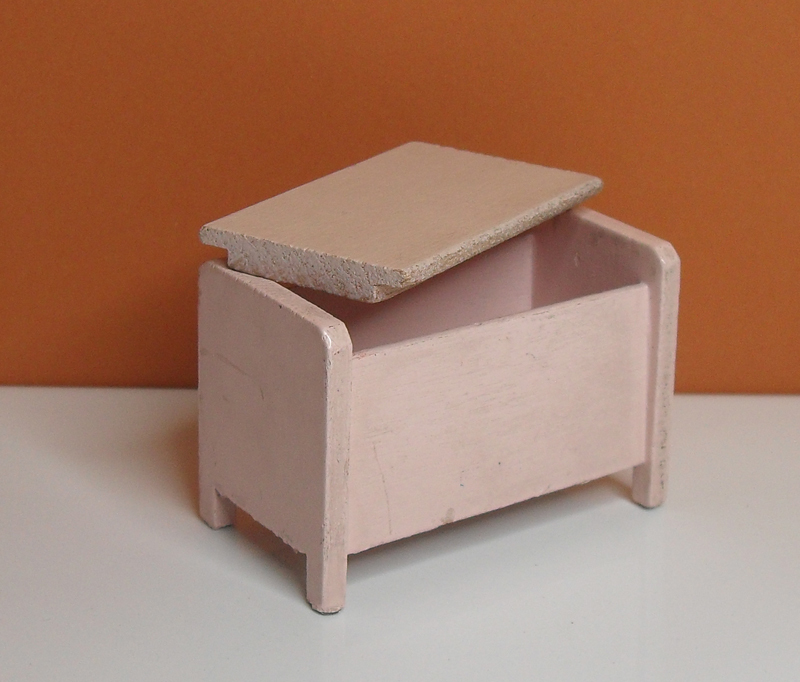 I have a nice wooden Barton Nursery Furniture, in pink. They probably date around 1950’s /60’s, but not quite sure. The wood is quite thin and are not as heavy as later Barton furniture. 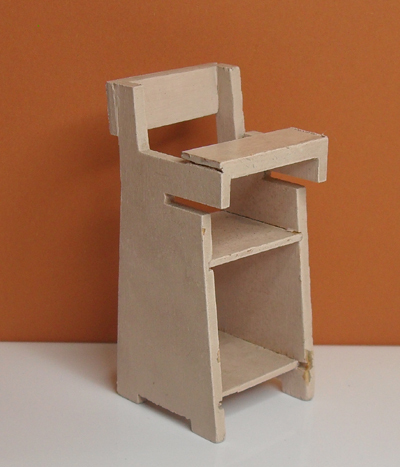 This high chair is quite a simple design, and a small doll would sit nicely in it. This chest of draws has opening drawers and small metal pins for handles. It is a shame that my camera does not pick up the pink colour very well. 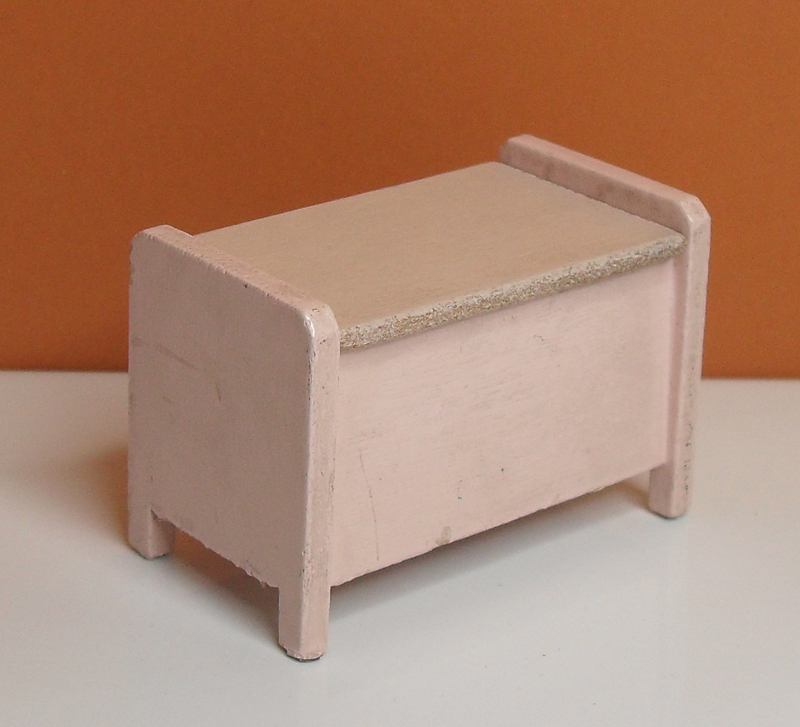 The side of this sweet little cot goes up and down. 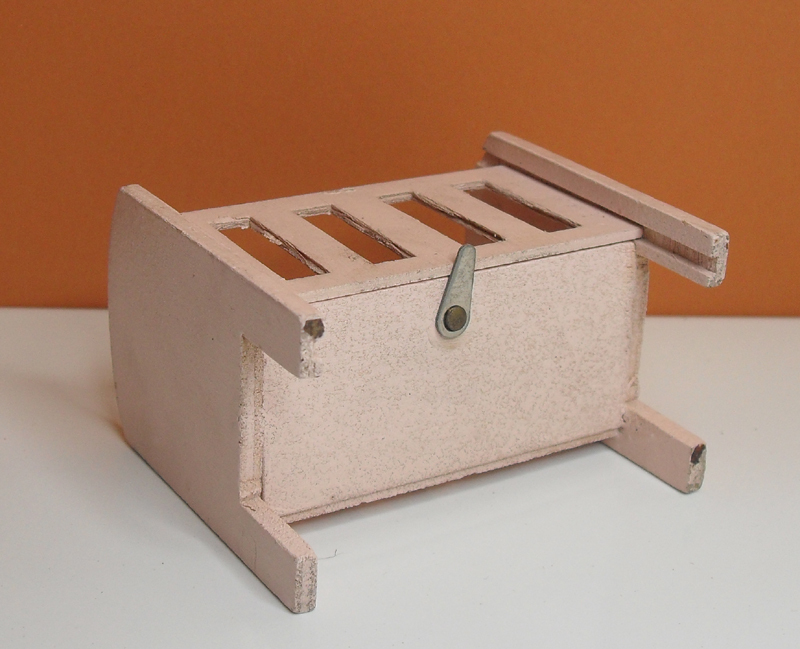 There is a small metal bar which you can turn to keep the side of the cot up. Small blanket/toy box with removable lid. 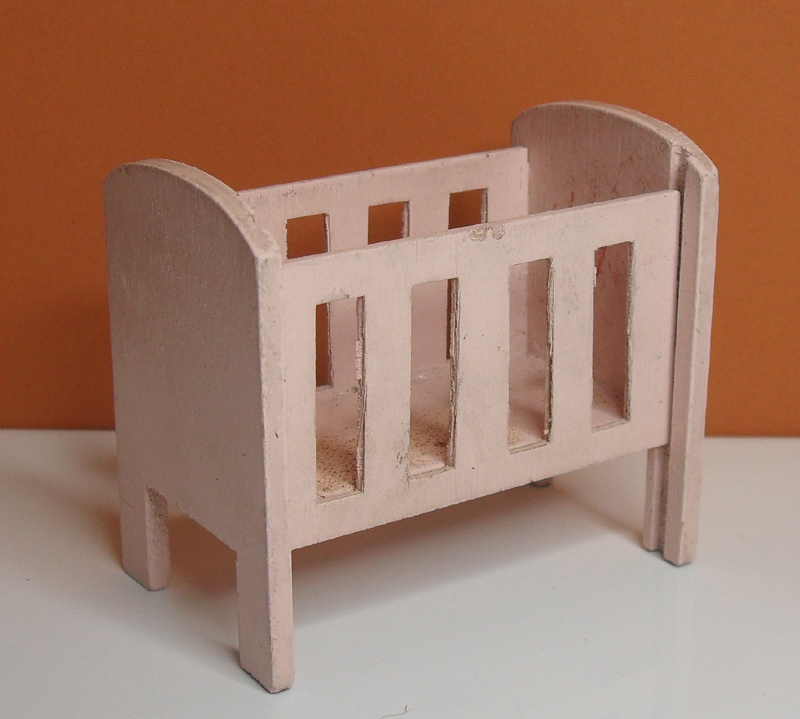 You are right about the pink nursery furniture being 1950’s – 60’s as I had most of the blue set and a pink rocking cradle as you describe. 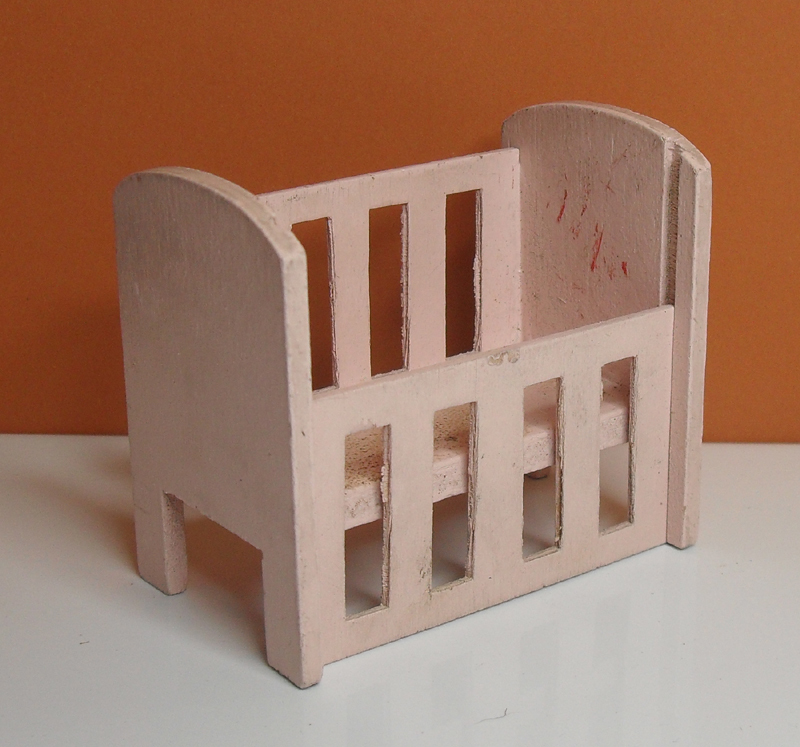 I was buying dolls house furniture in the late ’50’s and early ’60’s at the branch of Hamley’s in Croydon. 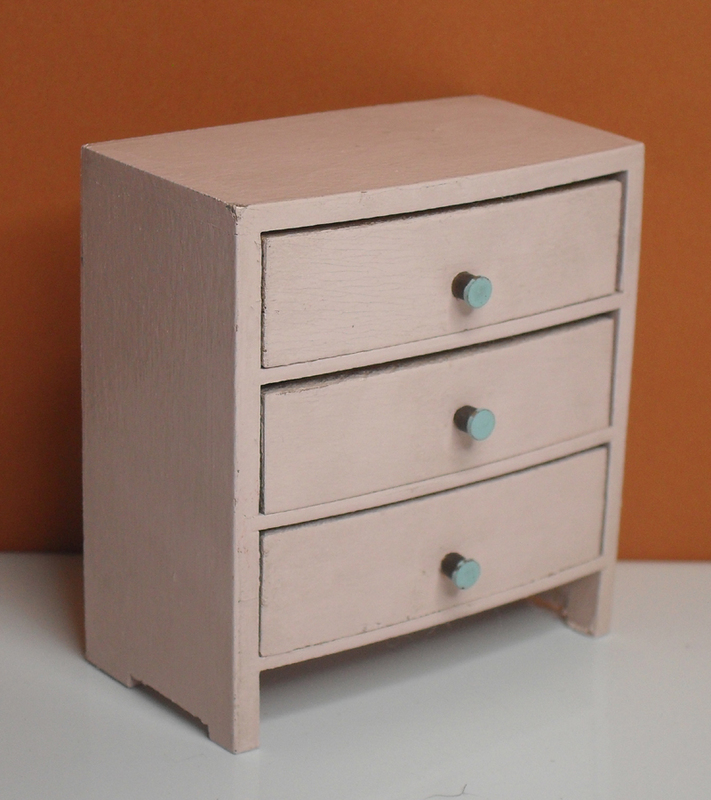 I also had a chest of drawers the same as the nursery one you have,but mine was in plain varnished wood with plain,unpainted metal handles. Happy memories! Thanks for helping to confirm the date on this furniture. It is so difficult to date and identify early Barton furniture, as there does not seem to be a catalogue or list of the furniture they made and sold. Once they rebranded as Carolines Home it is much easier.